See my demo video of this gorgeous thing in the tub. Also see lush tell us the meaning of this bath bomb below. 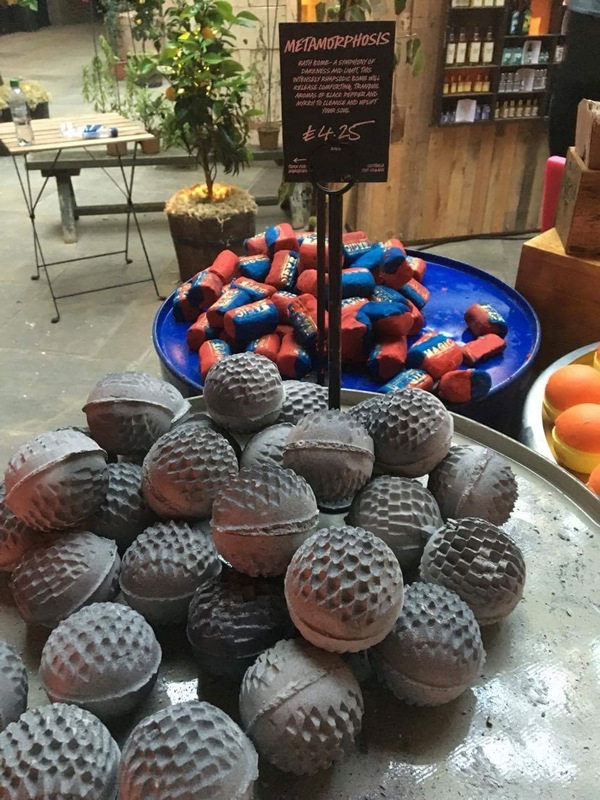 Update; these are now on the Lush Australia site. And i read on there that they’ll be coming to all Lush stores, soon. These bombs were initially Exclusive to the 2016 Lush Creative Showcase event, which is where I got mine. Contains myrrh, cinnamon and black pepper. and it’s got gray silver glitter on the outside. This changes colors in the water two or three times. 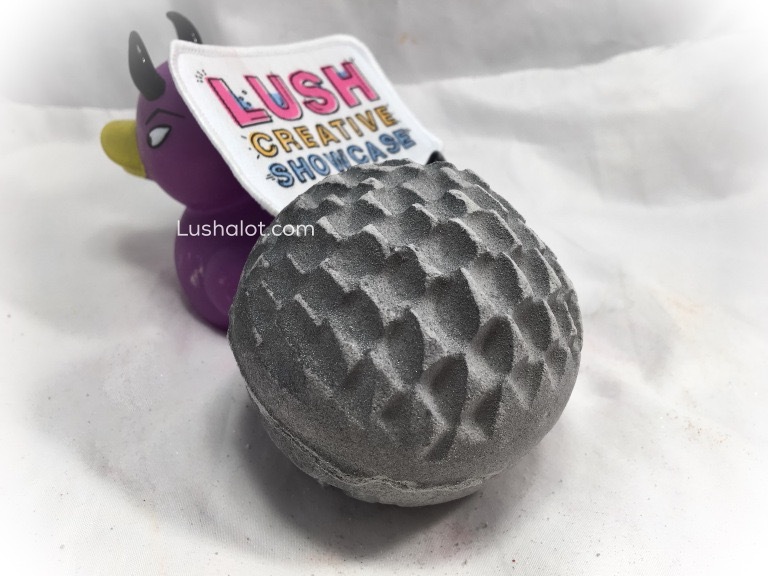 Posted on February 7, 2017 by Lushalot	• This entry was posted in Bath Bombs, limited edition, Lush Oxford Street store exclusives and tagged gorilla IV perfume, gray bath bomb, lush creative showcase exclusive winter 2016, lush gray bath bomb, lush metamorphosis bath bomb exclsuive, lush summit, metamorphosis, rentless. Bookmark the permalink.